In large skillet, combine spaghetti sauce and soup. Cook over medium-high heat for 3 to 4 minutes or until thoroughly heated, stirring constantly. Add ravioli and broccoli. 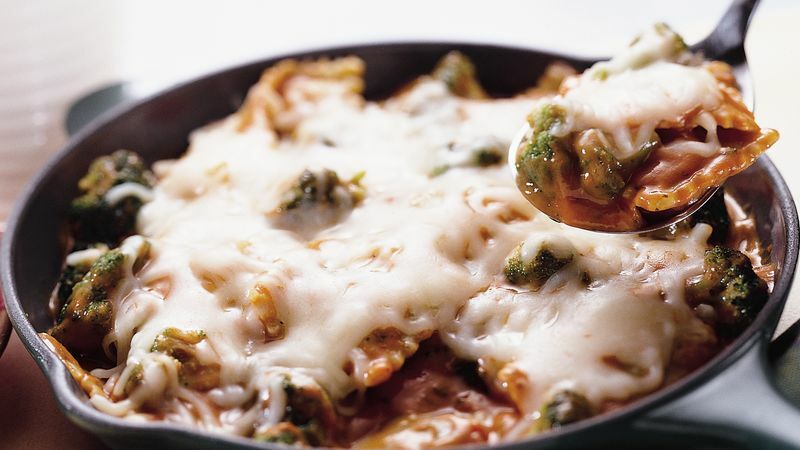 Reduce heat to medium; cover and cook 7 to 9 minutes or until ravioli and broccoli are tender, stirring occasionally to keep ravioli from sticking. Remove from heat. Sprinkle with cheese. Cover; let stand until cheese is melted.